Ladders, Long Brushes, Long Lenses and Henry Holiday. A month in St Chad's, Kirkby. It started with a request from the Liverpool diocesan heritage officer, would I be interested in a commission to photograph all the stained glass in St Chad's, Kirkby, Absolutely! The problem with photographing stained glass, especially as in this case, glass that is damaged, is the contrast. There are twenty three stained glass windows in St Chad's, shooting high resolution medium format I quoted for three days photography. Of course the weather in October 'up north' should be suitably cloudy, think again wall to wall sunshine day after day, out of sheer desperation I spend a morning shooting the north aisle windows to see what they look like, rubbish! The first suitably cloudy day! Finally a couple of back to back cloudy days arrive, I wheel my cart into the gloomy interior of St Chad's and set up quickly, a few hours later I've managed to finish the north aisle and I'm happy with the results. Dating from 1871-1897 the windows in St Chad’s show 27 years of Henry Holiday’s developing style, three West windows depicting scenes from the life of Christ, South aisle windows with saints, North aisle windows with women from the Old Testament, four corner windows of Archangels and four East windows, an unusual complete set of church windows by Holiday. At this point I'm reminded of a novel I once read, 'A Month in the Country' by J.L. Carr, the plot concerns Tom Birkin, a First World War veteran employed to uncover a mural in a village church that was thought to exist under coats of whitewash. The novel explores themes of happiness, melancholy, and nostalgia as Birkin recalls the summer uncovering the mural. No mural I know, but I feel happy in this place peeling back the layers of cobwebs and grime covering the glass! Yes a lot of brushwork from ladders was involved in the making of theses images! Including one four metre long brush, which wasn't long enough! Henry Holiday (1839-1927) was an artist at the heart of the Arts and Crafts movement, being a founder member of The Fifteen, the Art Workers' Guild and the Arts and Crafts Exhibition Society. 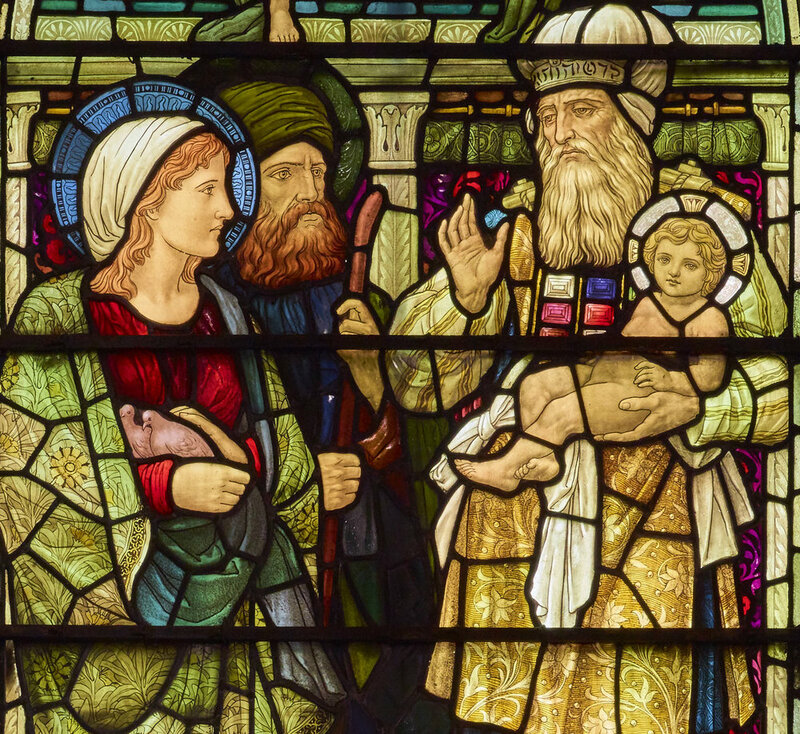 In a career devoted primarily to applied decorative art he exhibited paintings and sculpture at the Royal Academy and became an influential force in British stained glass, rejecting mediaevalism in favour of modern aesthetic design. His work is featured in many churches, and the I. K. Brunel memorial window in Westminster Abbey is contemporaneous with the East windows at St. Chad's. He also designed murals for Worcester College chapel, Oxford and for Bradford and Rochdale Town Halls, illustrated Lewis Carroll's 'Hunting of the Snark', and commissions following an 1890 trip to the U.S and Canada included the Robert E. Lee memorial in St. Paul's, Richmond, Virginia and the windows of Holy Trinity church, Manhattan, New York.